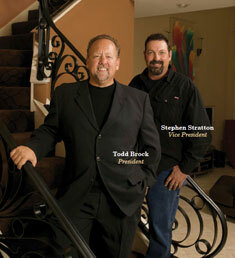 In 1985, a company was born out of the vision of a young entrepreneur (Todd Brock) who followed his heart and faith. Aaron Ornamental Iron was the fruition of that vision. Our Commitment to excellence in this industry has continued to set the bar far above our competitors, and blazed new trails for creative technique, beauty, and endurance. The result has been the phenomenal growth and success of a family born business to a major player in the national field of iron works. Steve still personally oversees all of our projects. His engineering guidance and know how, coupled with a work ethic that is second-to-none, drives our fabrication and installation teams to achieve perfection.